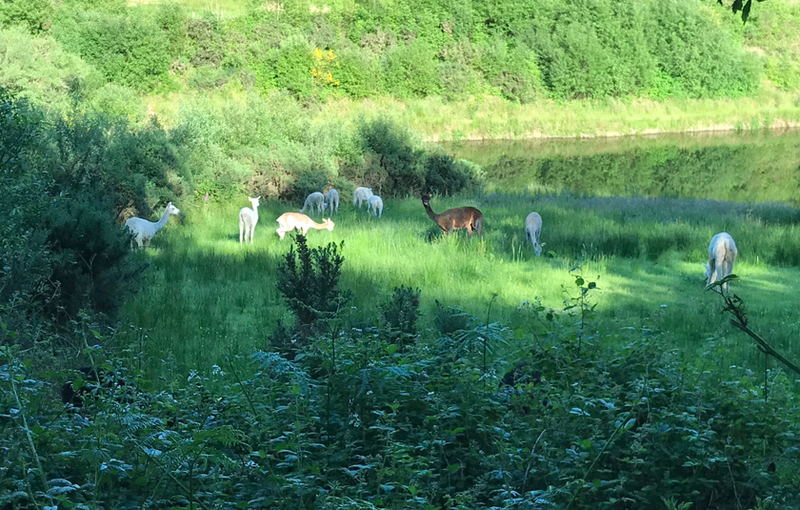 The alpacas love being out on the bank around the lake and they love this corner in particular. It is quite sheltered – important on a day like today with its blustery wind from the north. They will tend to move towards the wind direction which always surprises me and this is true even if there is only a fence and not the more established hedgerow. They have a daily circuit – tending to spend most of the day at the end of the lake in the corner shown in the picture. They then gradually drift along the bank as the shadow arrives (valley life – we lose the sun earlier here). Eventually, they drift into the car park and around the buildings which hold some of the warmth from the afternoon sun. It also means they are closer to the stable for whenever supper gets put out. Of course, being alpacas they also just do their own thing when you are not expecting it.